This photo is from the May, 1983 issue of the Shawnee Powwow Magazine. Do these two look familiar? 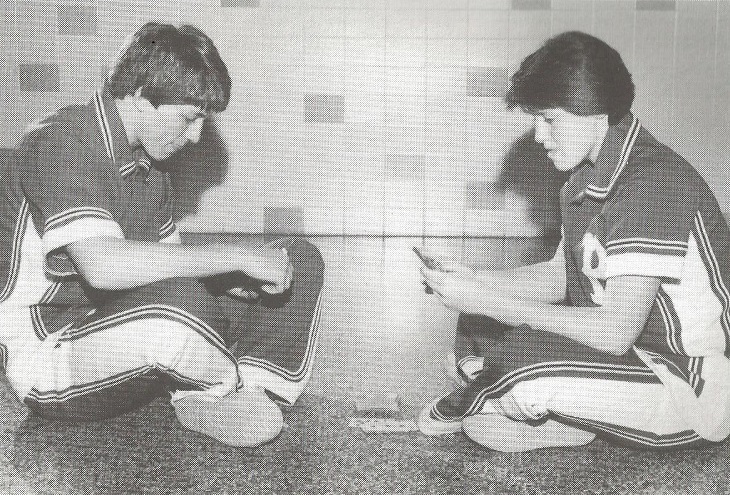 The photo shows seniors Scott Connor, left, and Carey Bailey playing a game of gin rummy as part of a spoof for being chosen as "Most Athletic" at Bridgeport High School. 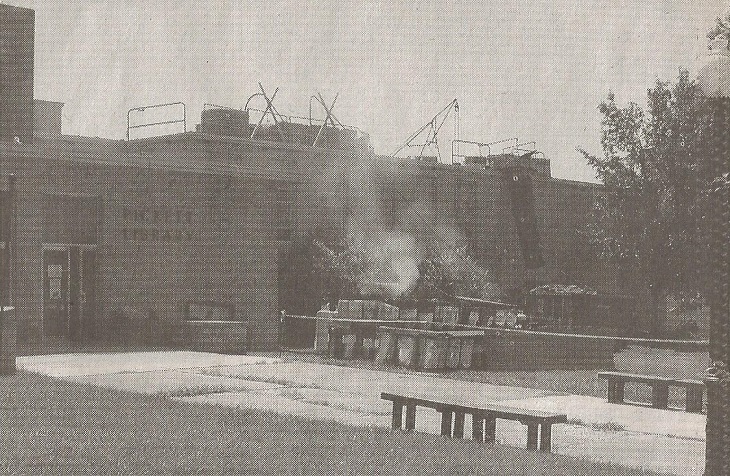 This photo from the summer of 2001 is on the campus of then Alderson-Broaddus College (now University). The college was doing hundreds of thousands of dollars in upgrades, including putting a new roof on the Pickett Library on campus.